Pasco Insurance Agency for Auto, SR22, Home, Renters, and Life. Our Pasco office serves the entire Tri-Cities, including Pasco, Kennewick, Richland, Benton City, Finley, and Burbank. 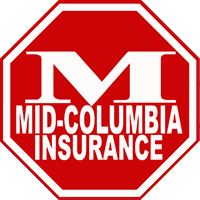 We also serve clients in Yakima, Ellensburg, Sunnyside, Prosser, Walla Walla, Waitsburg, and Moses Lake. In 1805, the Lewis and Clark Expedition camped at the confluence of the Columbia and Snake rivers at present day Sacagawea State Park, named in honor of the expedition’s Native American guide, and present day Pasco, a community of about 80,000 people. Pasco is nestled among the Columbia, Yakima, and Snake rivers in southeastern Washington state and is one of three cities that make up the Tri-Cities region. The Tri-Cities is home to approximately 280,000 people which includes the cities of Kennewick and Richland. The massive Columbia River divides Pasco in Franklin County from Kennewick and Richland in Benton County. Pasco has three high schools, Pasco High School, Chiawana High School, and Delta High School and a community college, Columbia Basin College. Delta High School provides a STEM-based curriculum and is operated as a collaborative effort by the Pasco, Kennewick, and Richland School Districts. Pasco’s Gesa Stadium hosts the Tri-City Dust Devils baseball club of the Northwest League. The Dust Devils are a Class A team of the San Diego Padres. Pasco is home to the Tri-Cities Airport (PSC), a regional airport served by several airlines with direct flights to Seattle and a number of other major US cities. The local Amtrak station has has been in Pasco since 1971 and before that, the Northern Pacific operated passenger trains through Pasco. Some of the largest Pasco employers include Burlington Northern, Lamb Weston, Boise Cascade, Tyson Foods, Energy Northwest, Fluor Hanford Inc., Bechtel National Inc., and Pacific Northwest National Laboratory currently managed by Battelle Memorial Institute.